If you guys have been following me on Instagram, you may have noticed I had quite the busy month. 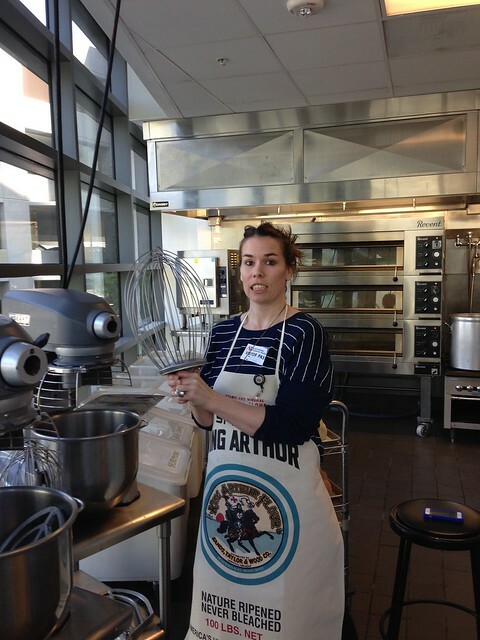 April started off with a trip to Los Angeles with King Arthur Flour. Not that it was a far trip for me, but I had so muh fun! 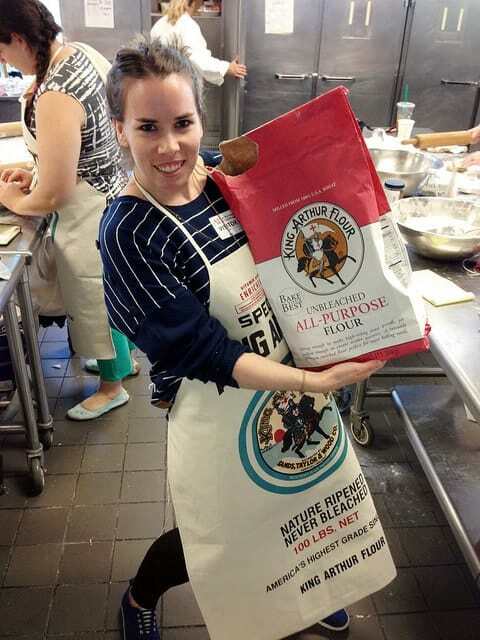 King Arthur Flour recently took their “Bake for Good” tour on the road from Vermont to Seattle, to Minneapolis and finally to LA. 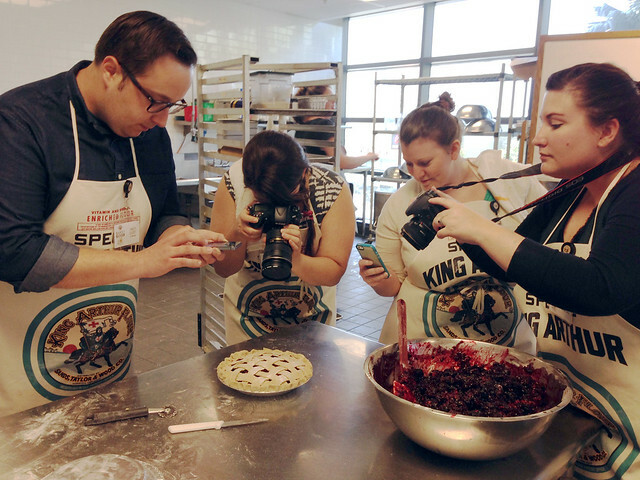 King Arthur asked a group of local bloggers to join them for a day of baking and a day of giving back to the community. Before I tell you all about my weekend, let’s talk about what it means to bake for good. While our bake for good mission involved serving dinner at a local homeless shelter, there is so much that you as an individual can do on your own. Do you have a friend or family member that is struggling? Why not send them a box of cookies or bake them a pie? 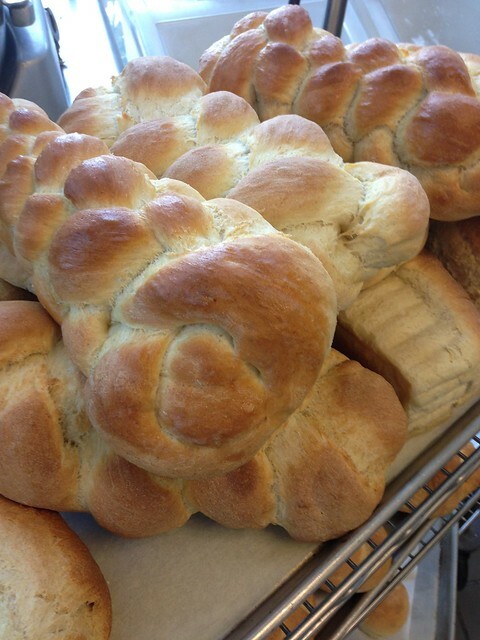 Reach out to a local shelter and see if they accept homemade baked goods, maybe send them a couple loafs of bread. Get together a couple people from work, church or a group of friends and organize a bake sale where the profits are given to those in need. There are so many ways, large or small, that you can help bake for good in your community. I encourage you to to share your #bakeforgood experiences! 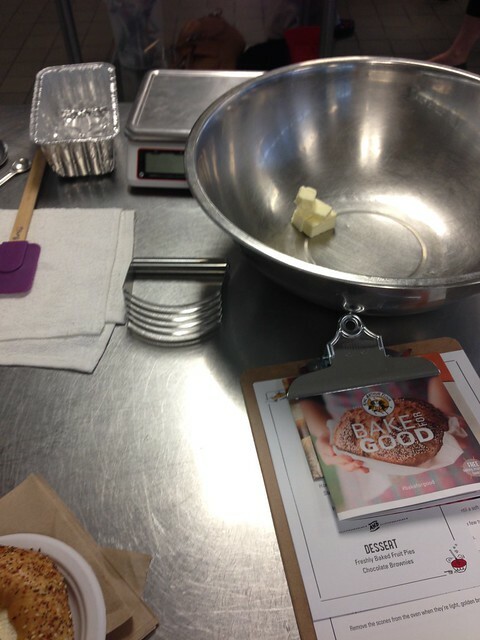 I am so excited to be sharing with you my experiences on the Bake For Good Tour. Our weekend was hosted by Chef Susan, Natasha, Julia and Chef Robyn, who work all live and work in Vermont at King Arthur Flour. 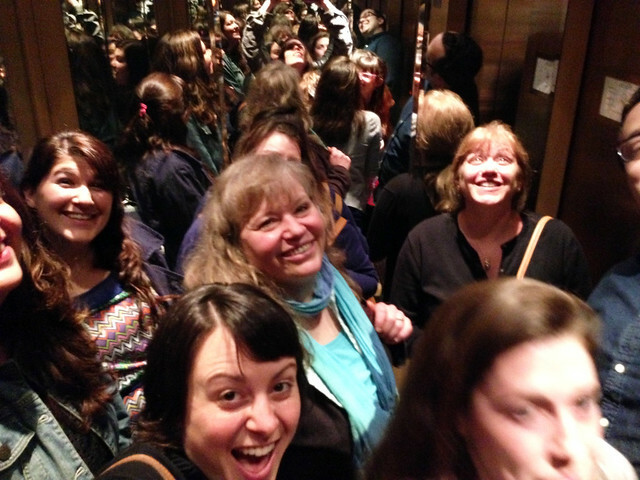 Naturally, for me, it was so much fun to hang out with a group of Vermonters, but these ladies were all so friendly, helpful and fun to hang out with! They made me feel like we had been friends forever. Baking in a professional kitchen has always been a dream of mine. 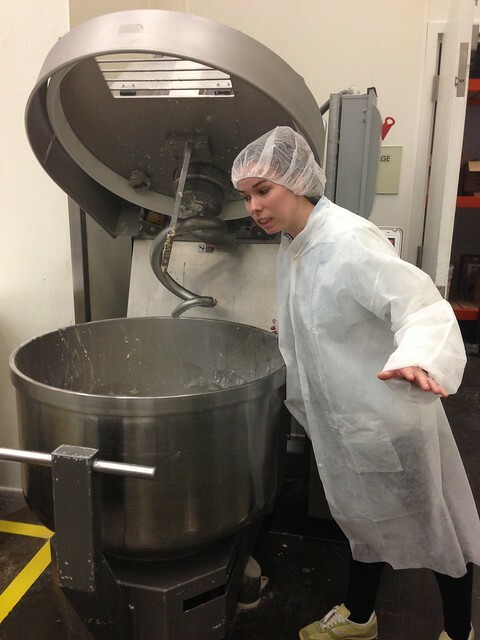 I ooed and awed at the giant mixers, oversized ovens and deep bins of sugars and flours. Its not because I wanted to own my own bakery, but just having the freedom to play around and be creative with food. And gah, NOT have to photograph it for the blog. Thanks to the Art Institute of California for hosting us! 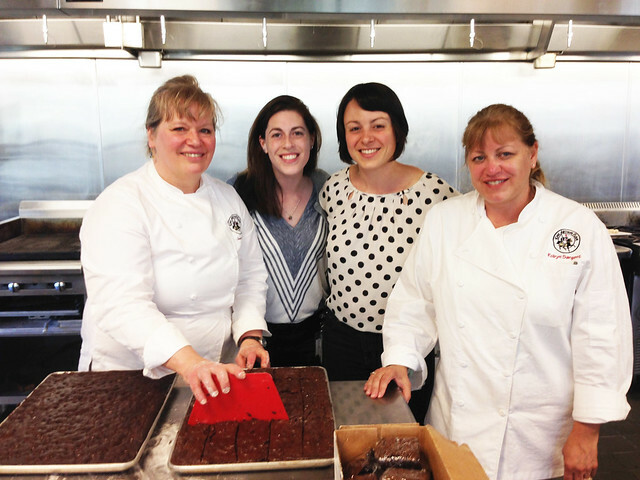 Our day of baking tutorials were taught by Robyn and Susan. They each have their own unique role in the King Arthur community. The morning session involved overcoming my fears of working with yeast breads. Robyn taught us the tips for a successful loaf of bread. The water temperature should not be over 130° F or it will kill the yeast! Then there is also accurate measuring, proper mixing, quality ingredients and of coarse, patience and kneading. Okay, maybe I am exaggerating a little bit, it was SO much easier than I thought! Robyn taught us the envelope kneading technique. Basically, the crease in the bread always stays in the center. Rotate the dough each time you knead it. 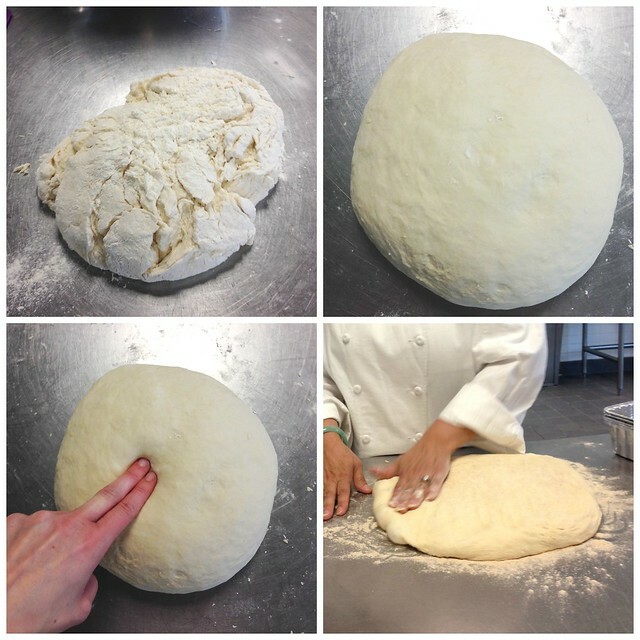 Press down with the palms of your hand and roll the dough forward, then rotate, keeping the crease in the center. We learned how to use our hands to FEEL when the bread was ready, which involved not adding the total amount of flour called for in the recipe. You can imagine my hesitation when my dough was ready before I added the last two cups of flour. This is because you are going to add more flour when you are kneading the bread. Robyn told us that the bread is ready to rise if you are able to gently press your fingers into the loaf and it bounces back up. Collectively, we baked over 30 loaves of bread that would later be served with dinner at the homeless shelter. We learned classic loaf techniques, a three strand braid and a 6 strand braid. Now my braided loaves were not all that pretty, but I think I can keep working on that! I have to say that it was my most successful day baking bread, and it might have also been my first! So let’s just go with that. The afternoon session focused on the ever daunting pie crust. I have never really thought of myself as being intimidated by pie crust, but maybe it’s because I have never made a “beautiful” pie. Finally, I learned three different ways to form a pretty crust. Again, Chef Robyn taught us the ways of the wise. For me, pies are all about the crust. A flakey pie crust requires that you use all cold ingredients. 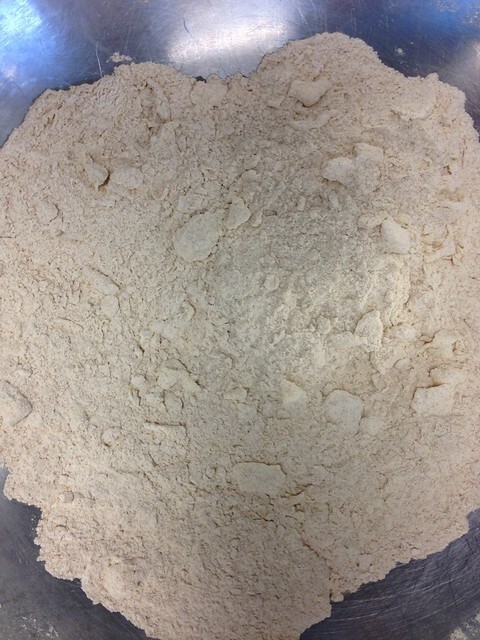 Pie crust is all about “VB” or visible butter, which Robyn called our flakey weapon. This basically means that when you work the butter into the flour, you leave large chunks of butter that are not fully incorporated. 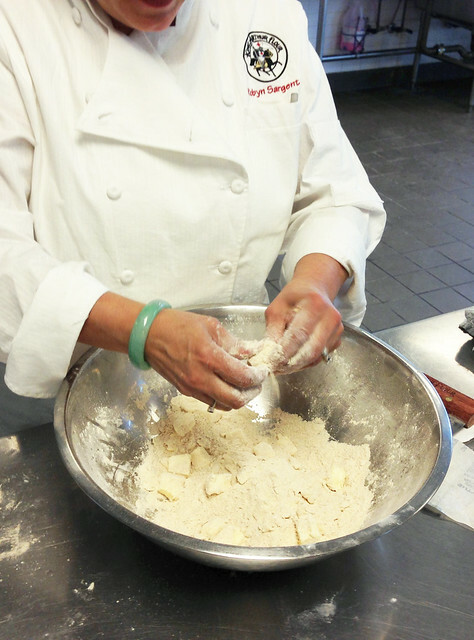 Robyn showed us how to work the dough with our hands. Abandon the tools and work the butter through your fingers. After the dough is formed, we wrapped it and put in the fridge to make the butter cold again. 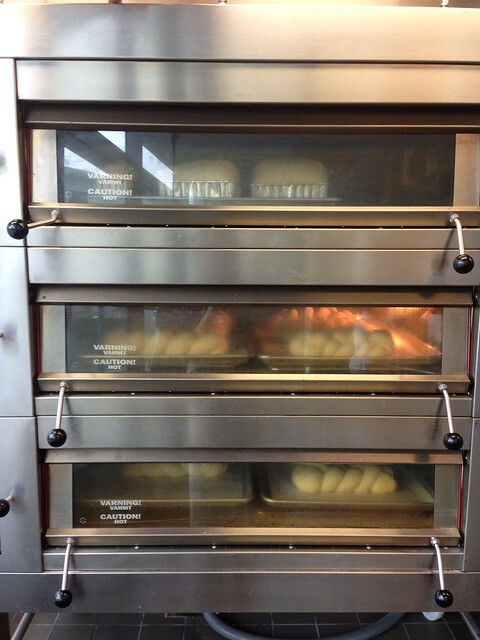 When you are ready to roll out the dough, roll from the center and rotate. I have never seen anyone play with a pie crust as liberally as Robyn and Susan. 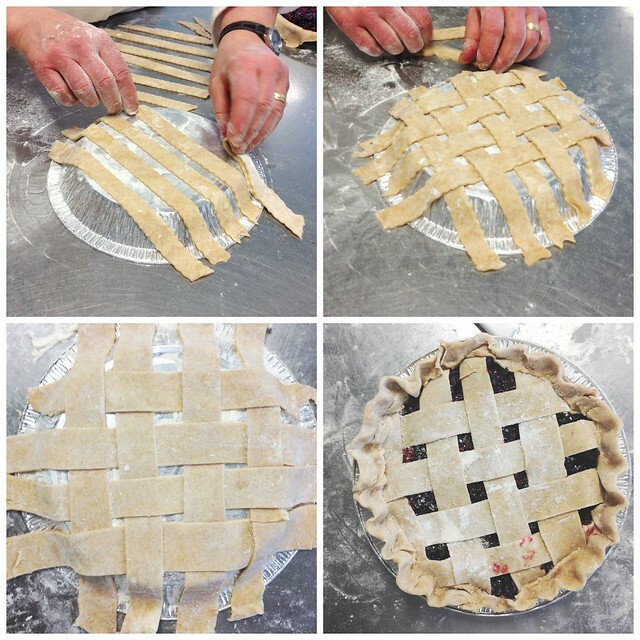 Susan stepped in to teach us the technique of a lattice pie crust, something I have zero experience with. She suggested that it is way easier to make the pie crust on top another pie plate or curved surface, which will allow you to overlap the different pieces without the pie filling getting all over it. Then when you are ready to put it on your pie, take a deep breath and flip it over! I know, scary right? But you can still do some adjusting when you put it on top of your pie. We baked nearly twenty apple and berry pies that evening. It was hard to resist the urge to dig right in! 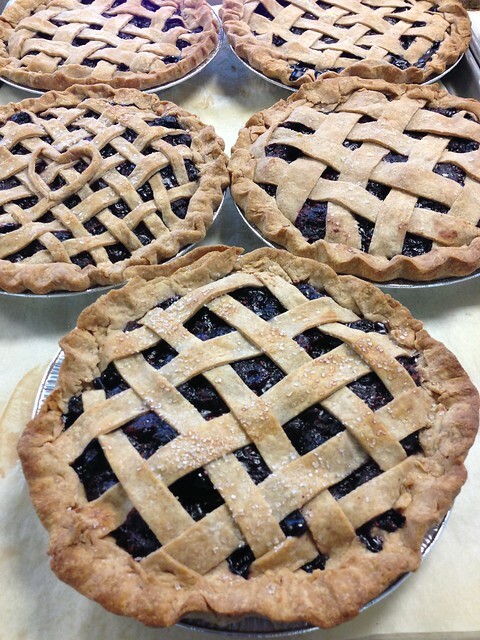 I couldn’t help but fell excited to be serving these pies as dessert the following night. How long does it take to build a pie? Maybe an hour? An hour out of your day can make a difference in someone else’s day. It can bring a smile to their face or maybe relieve the pressure of figuring out how they are going to feed their family that night. We finished off our evening with dinner at the Little Beast restaurant. OH EM GEE was this place amazing. We dinned on buttery grilled artichoke, fine cheese and spicy hummus dips. 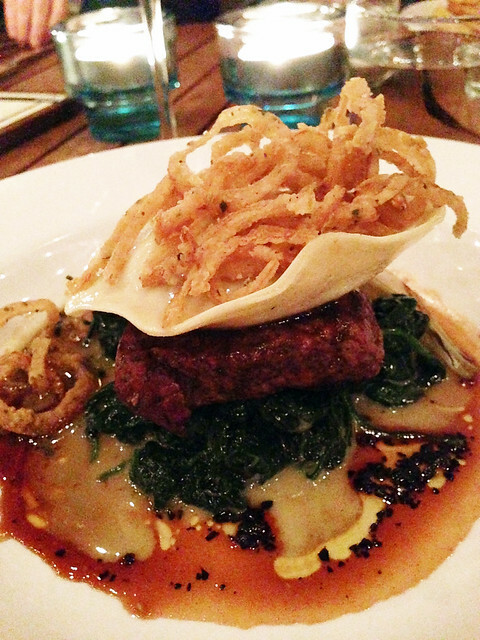 For dinner, I chose a petite filet topped with an onion ravioli and sprinkled with crispy onion stripes. To say that I cleared my plate is an understatement. You can’t go out to eat with food bloggers and expect that we won’t order every dessert on the menu. 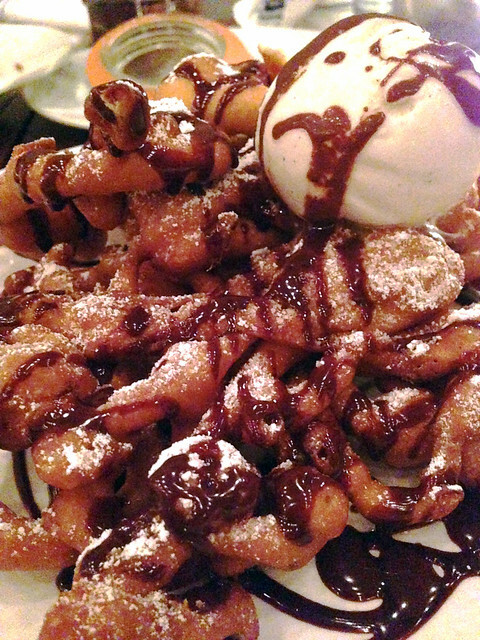 Our spread included a double decker funnel cake (YES! Funnel cake), a petite carrot cake, crème fraiche cheesecake with Meyer lemon curd and the best Belgian chocolate pudding I’ve ever had. It was rich in flavor and had the smoothest texture. It’s one of those desserts that you just want to close your eyes and savor every bite. Despite how full we all we, we all tried the pudding! Sunday morning we relaxed and prepared for the day ahead. Our first stop was at Homeboy Industries. Homeboy is a non-profit organization that rehabilitates men and women from the criminal justice system. Often the men and women of Homeboy have never had a job, were at one time a part of a gang and don’t have much of an education. Homeboy offers services such as tattoo removal, GED certification, job training, legal services and rehabilitation services. What I loved about the training that takes place at Homeboy is that everyone starts from the bottom and works their way up. They teach values and respect. 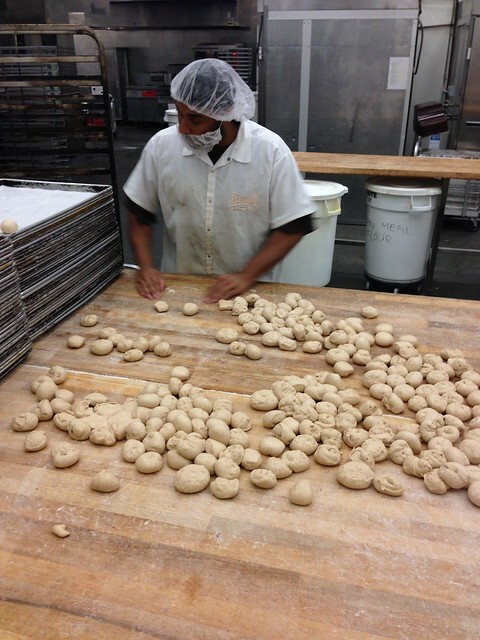 Working in the actual bakery is the goal that each homeboy wants to get to. Success is earned. Every Friday, there is at least 50 people looking to join the team at Homeboy, but they can only pick one. They learn what it means to have a job, a boss, and responsibility. Things that can be taken granted and are a part of everyday life for the majority of us. 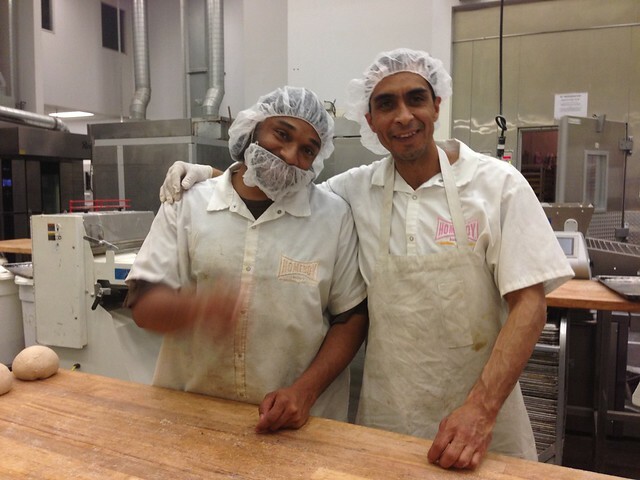 We were allowed to tour the Homeboy bakery where we got to hear a little bit about some of the “homeboys” who are a part of the team. It is so inspiring to hear the stories of how the program has changed them for the better. Changing your life for the better is a difficult task if you have never been given a chance. I am amazed at the opportunities that Homeboy provides. It left me feeling so inspired to get involved. I asked what I could do to continue to support Homeboy Industries. Yes, you can help to! Check out their how- to – help section. By simply spreading the word about the organization, you are helping to educate others that programs like this exist and are proven to work! I can’t thank the Homeboys enough for taking the time to show us around, answer our questions and most importantly, for the work they do for the community. During the afternoon, we found ourselves at the PATH Homeless shelter. The energy was high and there was lots to do. We prepared a home cooked meal for 100 guests that included lime chicken, macaroni and cheese, Spanish rice, vegetables and of course, all the bread and pies we made the day before. The shelter members were upbeat and excited to eat. There was plenty of smiles to go around and there was no shortage of food. We were able to leave them with leftovers for the next day! My job was to make the mac and cheese, and under the direction of Chef Susan, it was the best mac and cheese I have ever had. That lady knows more than just baked goods! 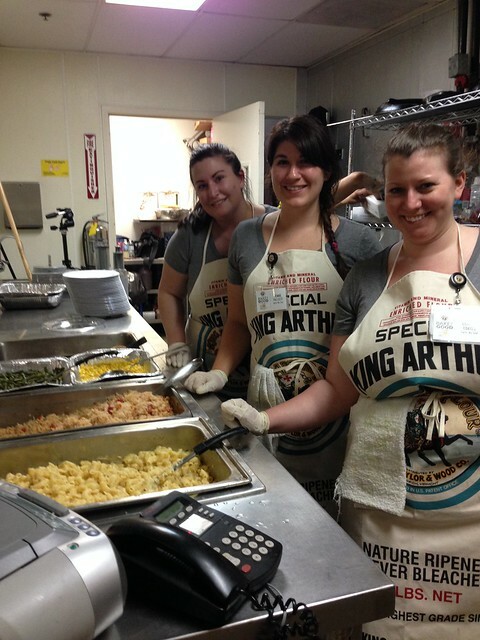 Serving dinner at the shelter was an amazing experience. I met a man at the shelter that was from the same town I was born in. I teased him about his Yankees jersey and we reminiscence about the sky high piles of snow. I can’t help but hope that I brought a smile to his face that day, especially since he came back for seconds on the mac and cheese. Whether you are able to help out PATH, or a shelter in your community, I encourage you to take a day and give back. You have no idea how much impact you might have. No task is too small if it makes a difference to someone else. It was really hard to say goodbye to my new friends whether they were local or far away. Besides getting to spend the weekend with others who have a passion for food, we worked together and baked for good. We shared laughs, expressed fears and hesitation with baking and enjoyed good food together. I want to thank King Arthur Flour for hosting us for the weekend and for their efforts to spread the word about baking for good! 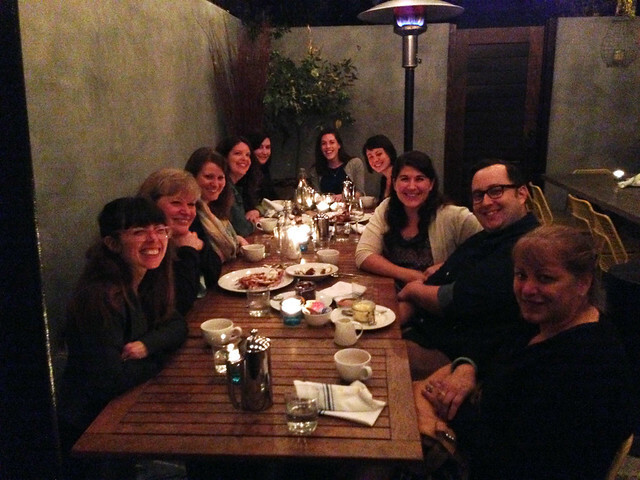 Don’t forget to visit the other bloggers who joined me in LA: Cake Spy, Pinch My Salt, Garlic My Soul, Beer and Baking and LA Weekly. 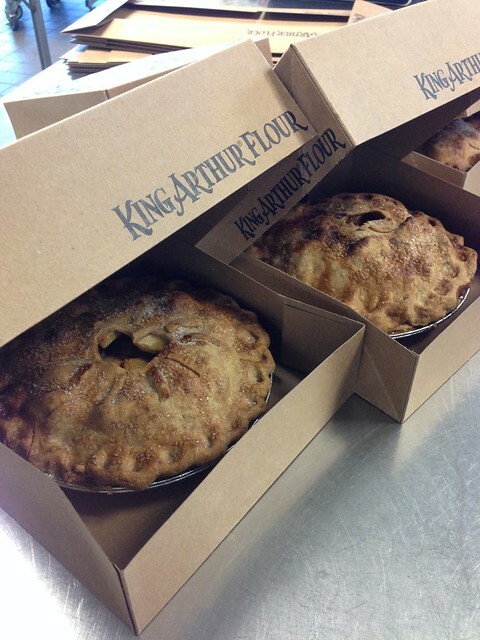 Disclaimer: King Arthur Flour paid for us to attend this event, but we were not compensated for this post. All opinions are my own. Julianne, I love how you shared this post… I’ve been loving the fun pics you were sharing on IG. #sojelly 🙂 Looks like it was an absolute blast! Thank you Gloria! It was so much fun! What a fantastic post! A few of these photos I would like to frame. What an amazing adventurous, learning experience, friendship-making, delicious event. Boy do I want a piece of pie right now!